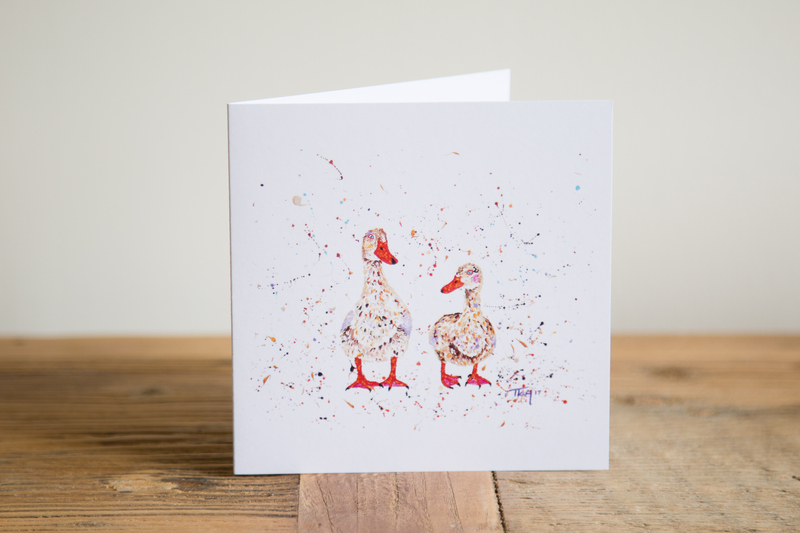 My beautiful cards are 125mm x 125mm in size and printed on cocoon recycled 350gsm card. 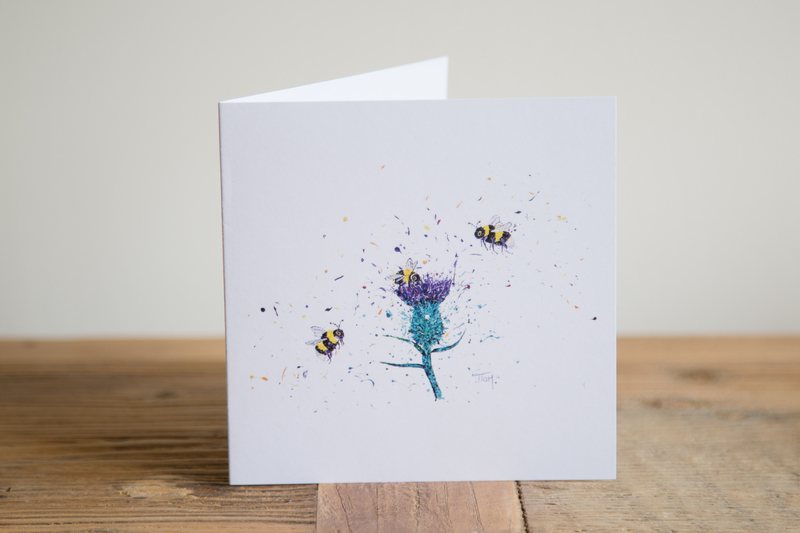 Each one is supplied with and an envelope and individually cellophane wrapped. 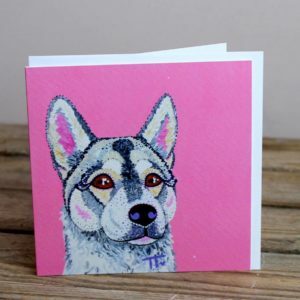 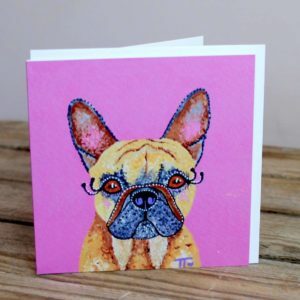 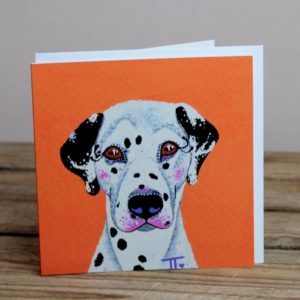 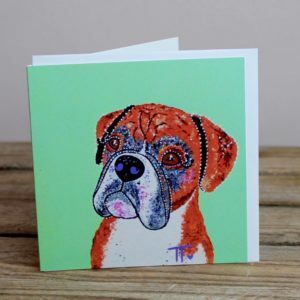 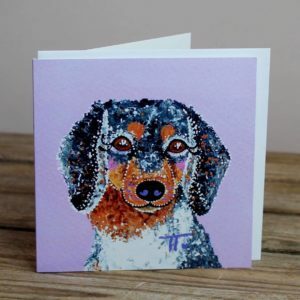 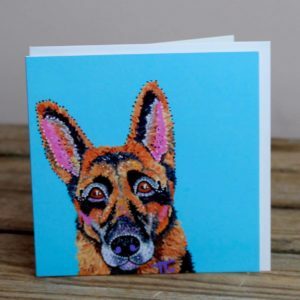 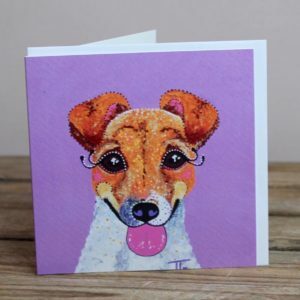 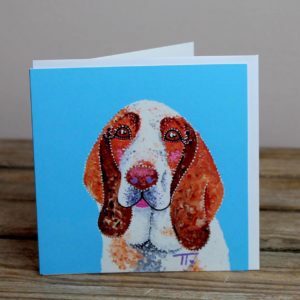 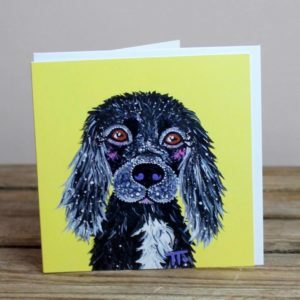 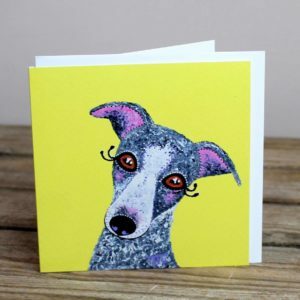 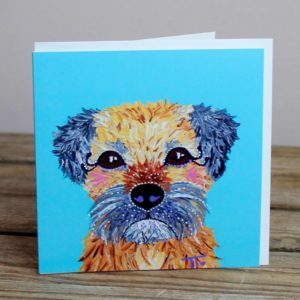 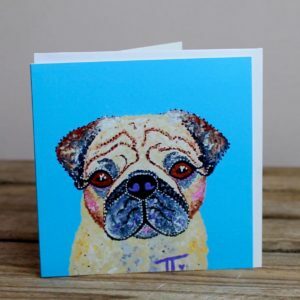 My glorious new range of dog designs are printed on 350gsm gloss coated card to give the vibrant backgrounds an extra pop of colour. 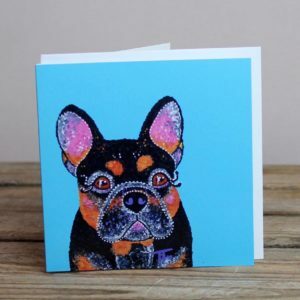 These come with white envelopes and are individually cellophane wrapped.